PORT HARCOURT—GOVERNOR Nyesom Wike of Rivers State has charged the European Union, EU, to take appropriate punitive measures against the Kaduna State governor, Nasir El-Rufai to check the excesses of politicians of the All Progressives Congress, APC. Speaking during a courtesy visit by the European Union Ambassador to Nigeria, Mr Ketil Karlson at the Government House, Port Harcourt, yesterday, Wike said if El-Rufai escapes without sanctions, other perpetrators of violence would be encouraged to promote hate speech. He said: “With what is happening now, is it likely for them to hand over when they lose? The European Union should use El-Rufai as an example. That statement is worse than hate speech. 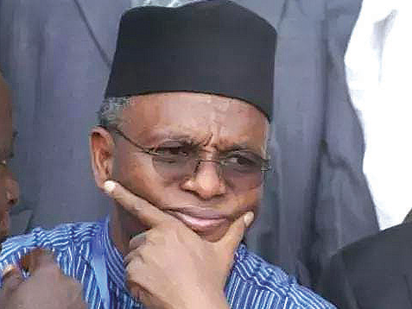 “If El-Rufai gets away with this hate speech, it will send the wrong signal. The President defended the hate speech as the defence of national interest. That is not true.” He said beyond saying that the EU, will not be deterred by the threats of the APC governor, concrete steps should be taken to wield the big stick against El-Rufai. Earlier, the EU Ambassador to Nigeria, Mr Ketil Karlson said that he was in the state to meet stakeholders for the promotion of peaceful and credible elections. He said since 1999, the EU has been observing elections in Nigeria, noting that the 2019 elections will not be different.